Statistics tell a frightening story... 59% of Christian young people abandon their faith at University as the pull of the world proves too much. What a tragedy! What a need churches to work together to support our students!! 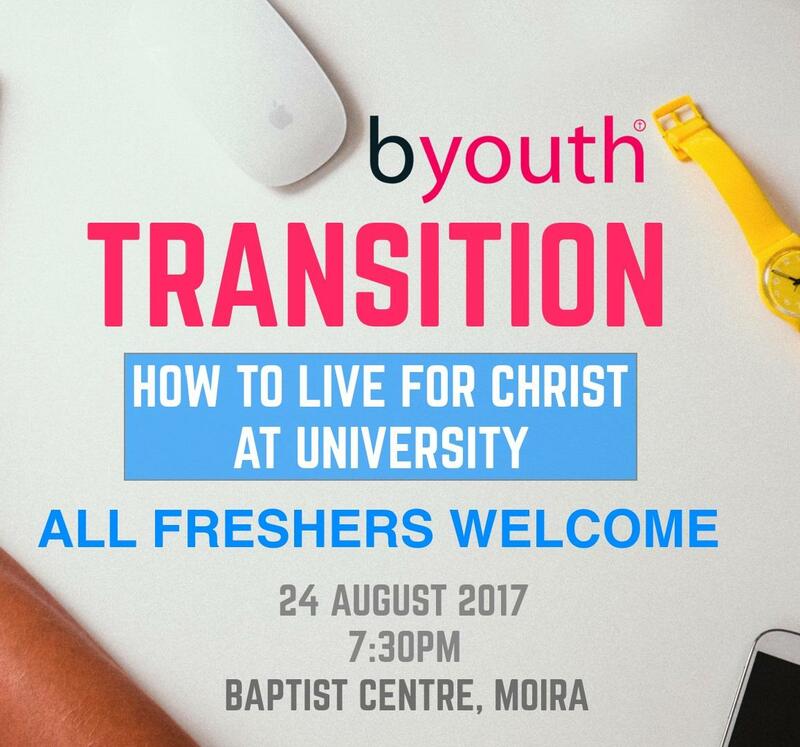 Making the move from Seondary school to University can be a daunting step for anyone, but especially for Christians. 'How can I make a difference for Christ? How can I use University to flourish in my relationship with Jesus? What dangers and traps do I need to be aware of?' These are questions we try to answer at Transition which runs at the end of August for any Freshers who are due to start University in September. Christian students face many challenges at University. Many of these issues aren't addressed directly in the Bible and can cause much debate, even confusion. At Forensic we aim to equip students to think through topical issues from a Biblical perspective. Forensic runs twice each semester at Great Victoria Street Baptist Church. A free and tasty dinner is also provided for all in attendance.